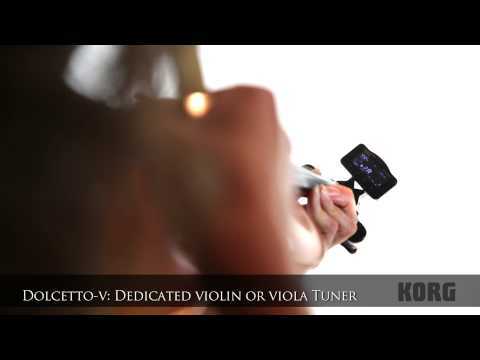 Compact clip-on tuner/metronome with large clip that can be attached directly to a broad range of orchestral instruments including clarinet, saxophone, oboe, bassoon, horn, euphonium, tuba, cello, and contrabass, even though it is optimized for use with the trumpet and trombone. Its arm can be adjusted through a wide range of 360° rotation and 180° forward/backward motion, while a ball joint allows fine adjustments to the viewing angle. Transpose function is also provided for smooth tuning in the conventional key of C, or a transposing instrument in the key of F, B-flat, or E-flat. Device features a new type of display providing superb visibility that is both bright and readable from any angle, the Calibration function that supports all concert pitches, the Auto Power-off function that saves the battery and Memory backup function. Tuner section offers a wide tuning range from A0 (27.5 Hz) to C8 (4186 Hz) with precision of +/- 1 cent and reference pitch of A4=410-480 Hz (1 Hz steps). Metronome section offers a wide tempo range of 30-252 bpm, with tempo accuracy of +/-0.1%. Device is powered by one 3V CR2032 lithium battery. Dimensions: 77 x 69 x 34 mm. Weight: 39 g. Black colour. Do you own Korg Dolcetto AW-3T or have you had a chance to try it?